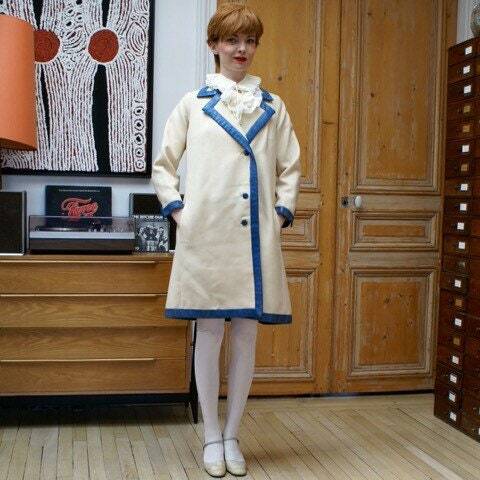 Dress coat in ivory wool by Jacques Heim, french fashion designer from the 40s has 70. The dress can be worn belted or as coat. There are spots. The edges are sheathed blue leather which gives lots of great silhouette. This is a size 36-38. Very couture! Absolutely amazing coat - I can't wait for winter. Seller was wonderful and delivery was very prompt. Can't recommend this seller highly enough!